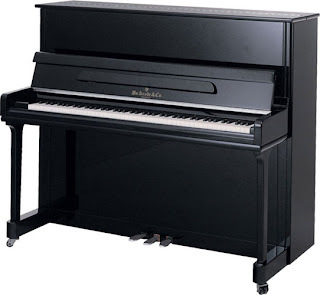 VANCOUVER, BC - Both locations of Showcase Pianos will now sell Knabe upright and grand pianos which start at $3,998. Previously, the most affordable upright available at Showcase Pianos was priced at $8,998. Yana Levkovich, the newly appointed piano department manager, says of the new line: "We took our time to search for a good quality entry level brand. Our technician reported to us that he was very pleased with them. We feel it's an excellent addition to our line up, and we've had excellent response from buyers already." Showcase Pianos not only welcomes trade-ins, but also has one of the best "Trade-Up" programs in the city. Buyers can get 100% money back when they 'trade-up' their purchase to something double the price or more - even if the next piano is a used piano or on sale!